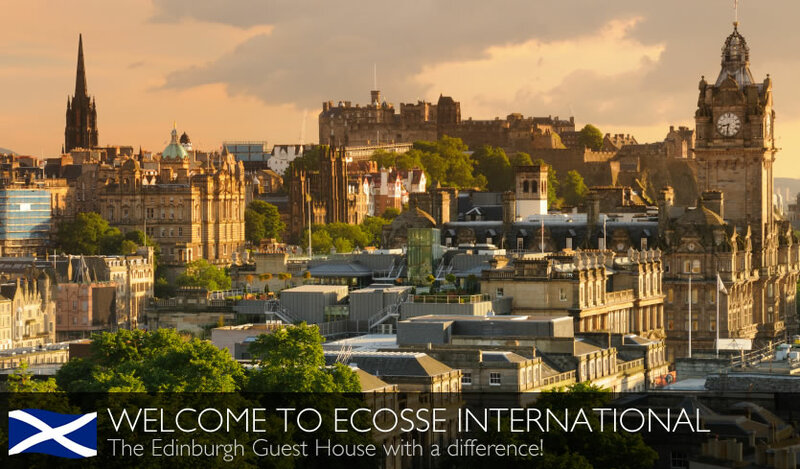 A warm welcome awaits you at the comfortable and tastefully decorated Ecosse International Guest House in Edinburgh, Scotland. The Ecosse International is the family-run guest house of Filipino couple Ossie and Erlinda Lupdag. We're just a stone's throw away from the centre of Scotland's picturesque capital. The Ecosse International is a 4-star accommodation accredited by the Scottish Tourist Board (Visit Scotland). Click on the links above to find out more about us. Then, come and stay with us when you visit the fair and historic City of Edinburgh. Scottish tradition and Filipino hospitality - a holiday experience that you will always remember!